Schedule a Free Water Test! Unsure of the quality of your water? Let us test it for you, for free! Rusty, smelly or hard water got you down? We provide the best solution in the industry, the Hague WaterMax Cleaner Softener. The Hague WaterMax Multi-Compartment Media Tank offers complete flexibility in purification and softener media configurations. Self-cleaning dirt and sediment filters eliminates the need for costly and monthly replacement water filters. Maintenance free! Ditch those plastic bottles forever with pure, clean water straight from the tap. We offer a variety of under sink RO systems. 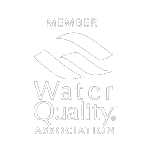 Every home has unique water quality specific to the area and the people who use it. Hague's WaterMax whole house system has a patented computerized smart meter that allows for customized configuration for softness and dirt or contaminate filtering. Self cleaning, no replacement filters, and backed by a 25 year warranty the Hague WaterMax is an affordable investment. Use less soaps and detergent for baths, dishes and laundry and extend the life of your appliances with clean, soft water. Ditch the plastic bottles and get clean, pure water right at the sink. We offer five of the best reverse osmosis drinking water systems available and provide professional installation. Hague Quality Water H6500 Reverse Osmosis System is a highly efficient R.O. System. It produces 1 gallon of drinking water to every 1 gallon going to drain compared to the competition. The non-electric permeate pump also allows water to travel several feet to connect to other devices. Pentair’s GRO-2550 RO System provides a superior level of performance compared to conventional filtration systems. It boasts the most efficient RO membrane available on the market today to produce 1 gallon of drinking water to every 1 gallon going to drain . The Aqua Flo Platinum QCRO and QCUF Drinking Water Systems can be configured to meet your specific requirements. With quick connect, interchangeable filters offering a variety of treatment options the system can be tailored to local water conditions. The PuROMax High Recovery unit utilizes a non-electric energy recovery device, called a permeate pump, which dramatically improves the efficiency of an RO system. This unit produces 1 gallon of drinking water to every 1 gallon to drain. An efficient and very affordable unit. An on-demand, tankless reverse osmosis system that delivers a whopping 25 gallons an hour, without the need for a tank. No need to wait for regeneration time between heavy uses. Add on an alkaline filter for practically unlimited alkaline water for you and your family. Great team, on time and I could tell they were looking out for my best interest. It took a little longer than expected but they did not rush and finished the job to my satisfaction. Price was very fair and highly recommend JBC Water Treatment Company. They were called and confirmed appointment, they were prompt (arrived within 15 minutes of scheduled time), they were informative, they did not try to sell unneeded extras. Very nice. John was very professional and knowledgeable, he was able to do the install without any hassles. John and Kelli were able to repair my water treatment system even though it was five years old and no longer supported by the manufacturer. Kelli kept me updated on their arrival time, and both John and Kelli are friendly and professional. John also inspected all the faucets in my house and made a vast improvement in my water pressure. For the amount and quality of their work, the cost was more than reasonable. Highly recommend. Did quality work, honest, were very knowledgeable, and willing to educate me on self care of my system. Would definitely recommend. We received excellent service from both Kelli and John. It was clear they knew their water treatment systems and what was needed for our set up. We were delighted that they covered our area 75 miles from their office. They were thorough, prompt and friendly. We recommend them highly! Mr. John Armstrong was very thorough . He explained everything well. Very neat and polite. He arrived during the time frame he stated. Nice and friendly... with great customer service. John is very experienced and very knowledgeable person. He does his job with 100 percent perfection. Nothing can go wrong in John hands, he is so perfect. you will not regret hiring them. Best value for the money. I had water softener installed with them, John installed the softener and Kelli programmed they answered all the questions i had and in fact they educated me on the water softener systems, very professional. Thanks John and Kelli. Just hire them. Don't even think about it. Do it. You won't regret it. John was my service man. He arrived promptly in uniform. he introduced himself and went right to work. He explained what he needed to do and gave me a cost estimate before starting. His fee was reasonable. I hired him and he went right to work and completed the work quickly. He was pleasant and professional at all times. after install, he tested the city water and the water treatment sys, explained what to look for and also informed me about the benefit of a whole house sys. Thanks John (JBC) for great service. I will definitely recommend you to my friends and neighbors. Kelli and John were very professional, courteous and honest. Something that is rare these days. I would recommend to anyone that is in the market for a water treatment and purification system. I was Shocked that he came out the same day. Thank you.